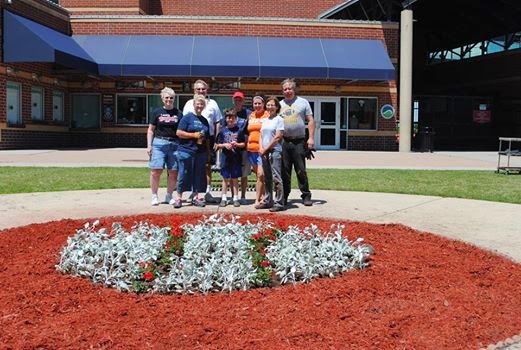 On Tuesday 7/1, a few members of the Booster Club helped make a flower garden in shape of a baseball! We would like to thanks all of the members who were able to help out. Soon we will have a sign in the garden stating that it was designed and maintained by the Booster Club!